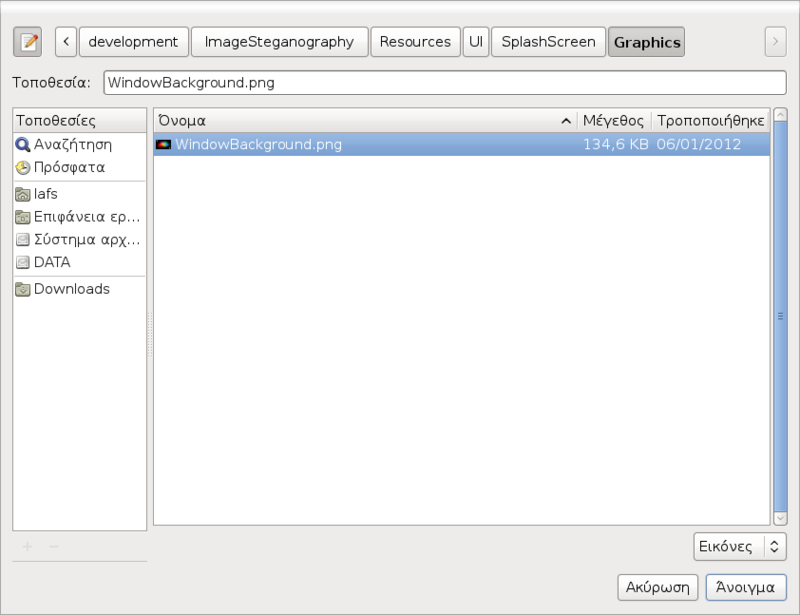 Also, at the moment the project “Steganography System” contains a prototype for implementing steganography in images. This application has been developed in Qt with an easy to use interface and is designed in such a way that you can expand it easily if you wish to enter new steganography techniques. It is worth mentioning that the following design patterns were used: Factory, Request – Action, Wrapper. Some additional features of the application are that it uses a splash screen at startup, it supports Locales in run-time (it has already been translated into Greek), maintains system settings, applies CSS to the UI in run-time, integrates resources for graphics in the executable and supports some features of c++0x.